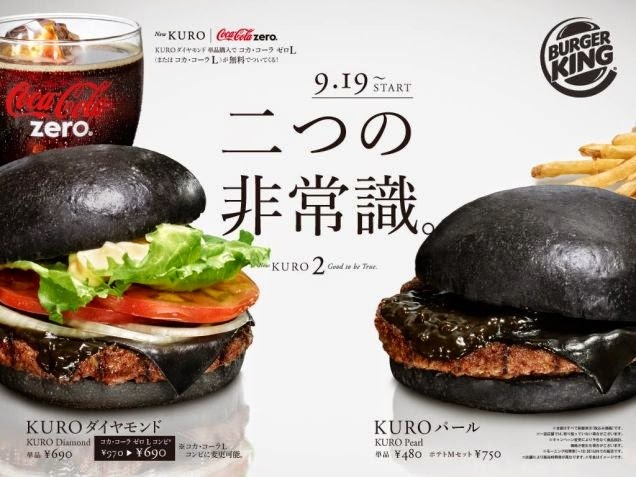 Burger King in Japan is Back in Black with the release of a new line of Kuro (Black) Burgers that look very interesting. You may remember that we posted about the Black Ninja Burger last year. 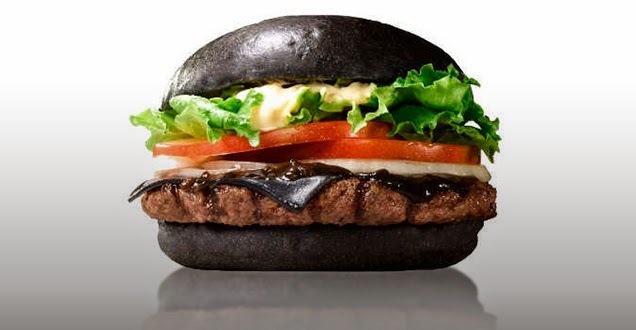 These new burgers take the dark side even further with the addition of black cheese. Yes, that’s right, black cheese! The burgers come in two varieties, the Kuro Pearl and the Kuro Diamond. Kuro (黒) means black in Japanese and these burgers certainly live up to their name with a selection of black coloured ingredients. 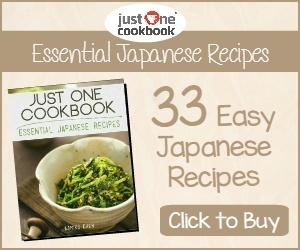 They went on sale on 19 September and will remain on the menu for a limited time. Here is a brief outline of the two burgers. 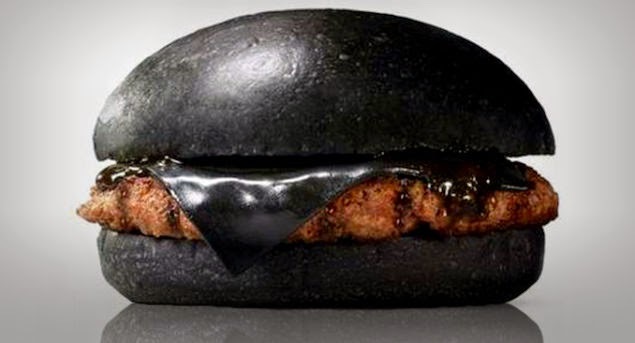 The Kuro Pearl Burger features black buns (made from bamboo charcoal), a black pepper beef patty, black cheese (also coloured with bamboo charcoal) and a black Chaliapin sauce (a garlic, onion soy sauce coloured with black squid ink). The Kuro Pearl Burger costs 480 yen (USD$4.40). The Kuro Diamond Burger features all of the above with the addition of lettuce, onion and tomato as well as mayonnaise. The Kuro Diamond Burger costs 690 yen (USD$6.30). Would you be willing to give these a try and turn to the dark side? These look amazing! Everytime I see a weird-coloured burger, I get excited!